WILL THE AFFORDABLE CARE ACT BE AFFORDABLE FOR EMPLOYERS? The price Americans will pay for Affordable Care Act (ACA) changes may include lost wages and job benefits due to the price tag of ACA compliance for employers. It may seem to many like a good and noble thing to require insurers to insure everyone irrespective of health conditions and the attending financial risks and costs the insurer must assume; to make all individuals buy health insurance, irrespective of whether they want or need it; and to force employers to provide what the government decides says is the right kind of health insurance to employees. But nothing is free or without consequence, especially sweeping legislation intended to overhaul healthcare. Unfortunately, while the ACA will undoubtedly benefit many Americans, the true costs of the ACA will prove unaffordable for many employers and likely result in lost wages and job benefits for many Americans. For example, the University of Virginia and United Parcel Service recently informed employees that it would no longer offer healthcare coverage to employee spouses able to obtain insurance from other sources. UVA announced what it described as “major changes” in their health plan options to employees and explained the changes were necessary based on UVA’s projections that the ACA will result in $7.3 million in additional costs associated with its health plans in 2014 alone. UVA is attempting to defray the cost of complying with the ACA by cutting health benefits to many spouses. UPS indicated that costs of complying with the ACA contributed to its need to drop spouse coverage, which will affect as many as 15,000 employees. UPS explained that due in part to the ACA, it is “increasingly difficult to continue providing the same level of health care benefits to our employees at an affordable cost.” Other employers have limited non-management workers’ hours to 29.5 for the purpose of circumventing ACA requirements that are triggered by having 50 or more “full time” employees (i.e. 30 hours or more, under the ACA). For example, Forever 21 recently announced to its employees that effective August 31 they would not be full-time employees. 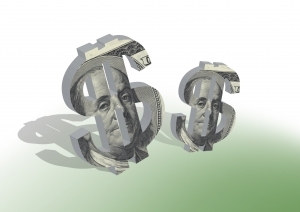 Other means to avoid employer costs of ACA compliance will undoubtedly be explored. According to a recent study by the U.S. Chamber of Commerce, notwithstanding the decision of the Obama Administration to delay ACA implementation, 27% of small businesses will cut hours to reduce full time employees, 24% will reduce hiring, and 23% plan to replace full time employees (30 hours per week or more) with part-time workers to avoid triggering ACA mandates. Further, according the Chamber study, uncertainty about the requirements of the ACA and hence its true long term costs (ironically, its affordability), is the “top worry for small business owners” — over all other important issues. The Chamber study involved a national sample of 1,304 small business executives. Our healthcare law firm represents healthcare providers, businesses and professionals. We have a keen interest in legal issues impacting the delivery of healthcare and the healthcare industry. We are a boutique law firm focused on helping healthcare businesses in Georgia and South Carolina succeed. Contact us at info@ksllawfirm.com, (404) 685-1662 (Atlanta) or (706) 722-7886 (Augusta) to schedule a consultation.